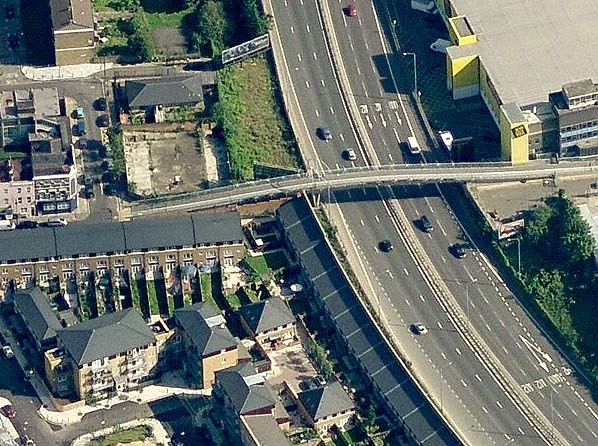 Location: South side of Old Ford Road, at the west end of the footbridge over the A12 linking Old Ford Road with Crown Close. 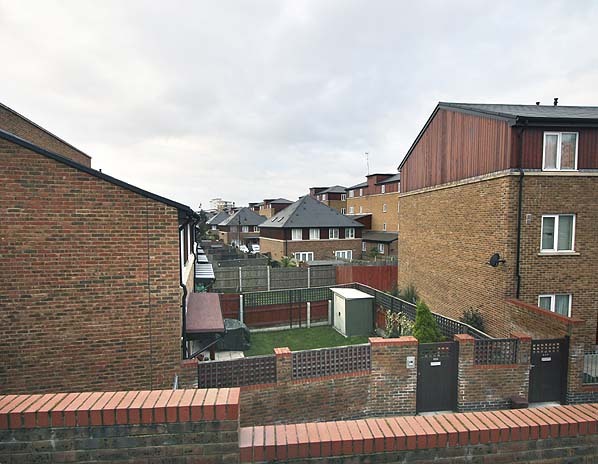 Present state: Demolished - the site is now occupied by a linear housing development following the curve of the track bed, no evidence of the station remains. The track bed to the north of the station has not been developed. Notes: The first proposal to build a station at Old Ford first appears in company records in 1865 but construction didn't start till spring 1967. Old Ford opened on 1st July 1867 before being inspected by the Board of Trade. 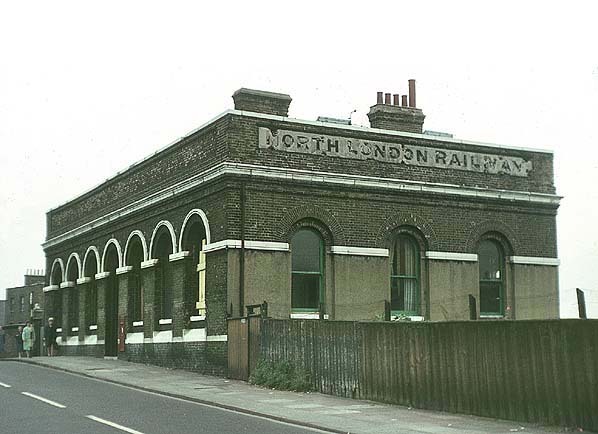 It had a typical North London brick 'Moorish' style 'L' shaped building sited on the south side of Old Ford Road. The building had a central arched doorway between three pairs of matching windows. Because of the cramped site, one end of the building was wider than the other with the wording set in cement along the top west side of the building reading 'North London Railway' while that on the shorter west side said 'N. London Railway'. From this building two covered stairways led down to the platforms which were provided with brick buildings comprising waiting rooms, staff rooms and toilets with substantial awnings on both sides. A book stall was provided by W H Smith & Sons. 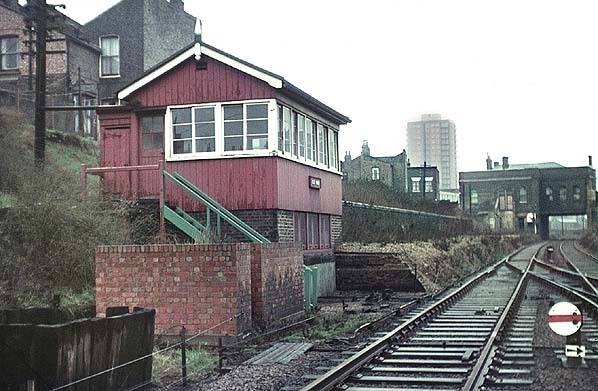 An elevated signal box was built on the west side of the line on the north side of Old Ford Road. 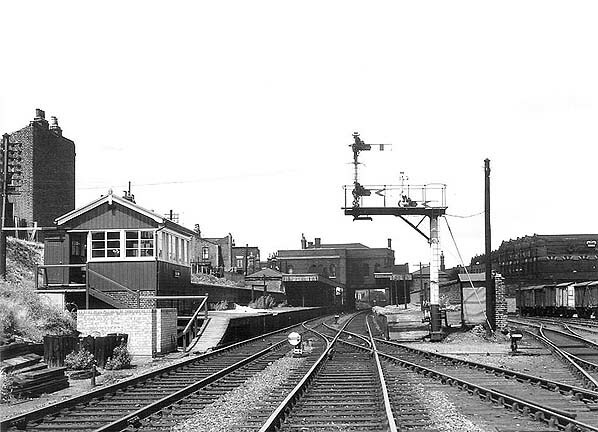 enlarged in 1874 and at this time the original signalbox was replaced by a new box beside the track at the south end of the down platform which was itself replaced by a third box just off the end of the platform in 1900. On new Years Day 1929 a crack was discovered beneath one of the supporting girders of the street level building. This required temporary shoring which blocked the 'up' track for some time with single line working being introduced between Victoria Park and Bow which caused serious disruption to the 15 minute interval passenger service. After closure part of the roadside building was used for domestic accommodation. 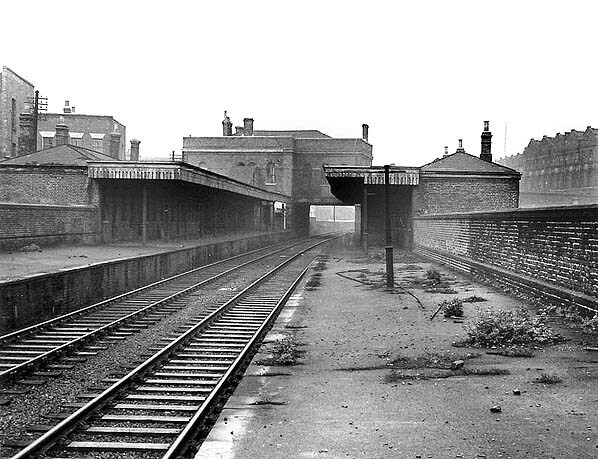 The platform buildings and edge stones and brickwork were removed in 1963 and the roadside building was demolished in October 1967. The goods depot closed in November 1967. Freight traffic was now also in decline as the developing motorway network made it more economical to transport freight by road. By the early 1980's the Poplar line had been reduced to the status of a long siding and on the 5th May 1984 the points at Victoria Park Junction were removed and the track south of Victoria Park was lifted shortly afterwards. The remainder of the line between Dalston and Victoria Park fared better. During the early 1970's there was a spirited campaign to reopen the line between Dalston and Stratford but nothing happened until the spring of 1979 when British Rail announced plans to reinstate the 'Missing Link' and introduce an hourly service between Camden Town and North Woolwich. Progress was quick with the line reopening for passenger traffic on 14th May 1979. Intermediate stations were later opened at Hackney Central (12.5.1980) Dalston Kingsland (16.5.1983), Homerton (13.5.1985) all on or close to the sites of the earlier stations. 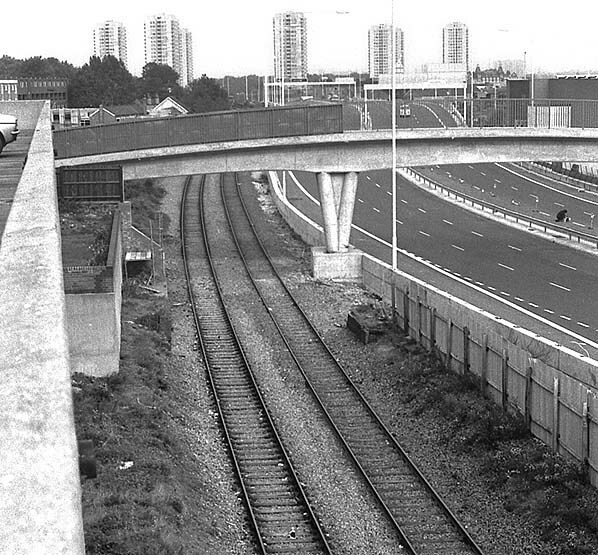 The site of Old Ford Station looking north.in August 1974 The degraded remains of the platforms can still be seen but Old Ford Road has been replaced a a footbridge over the newly completed but not yet open A102M (now the A12).